The time following the birth of a new baby (or twins) can be exhausting for new parents, and having additional help from experienced and qualified night or maternity nannies can be invaluable for getting parents back on their feet, establishing a good sleep routine and enabling parents to get some much needed rest and recovery time. Night nannies and maternity nannies are engaged on a temporary basis, usually shortly following the birth of your baby or twins. The difference between and maternity nurses is that night nannies will come to care for your baby/twins just for the night (usually arriving at around 9pm and leaving early in the morning), while maternity nurses can stay during the day as well – in some cases they may come and live in for 24 hours a day on a temporary basis. Night nannies and maternity nurses (including those with particular experience in caring for twins) can be booked for relatively short periods – anything from single nights to weeks at a time. 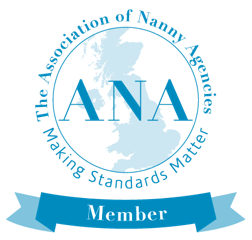 We charge an agency fee for £20 per full day/night you book the nanny for (for full weeks this is reduced to £90 per week). If you are considering engaging one of our night nannies or maternity nurses please contact us to discuss your needs.